Mustang is a dream destination for many. 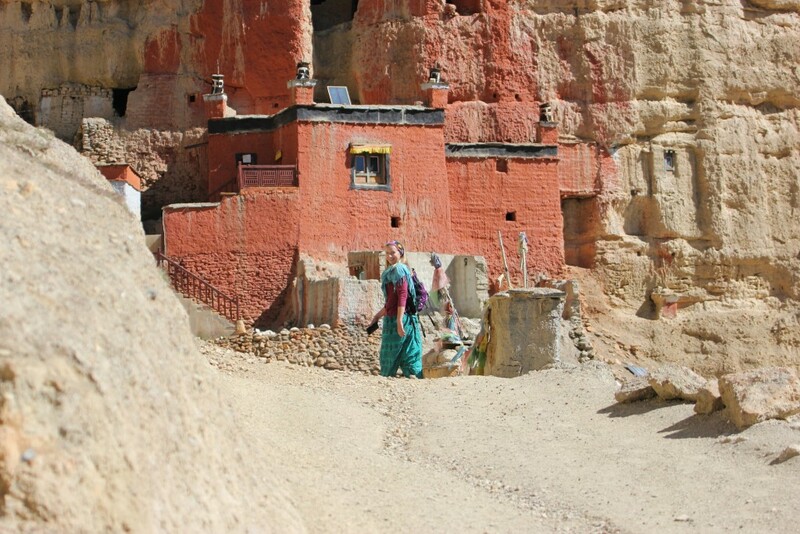 Wide landscapes, mystic ancient monasteries and caves where monks are kept in hiding for years – Mustang has it all. Until 1992 it kept its borders closed, not allowing foreigners to enter the forbidden kingdom. 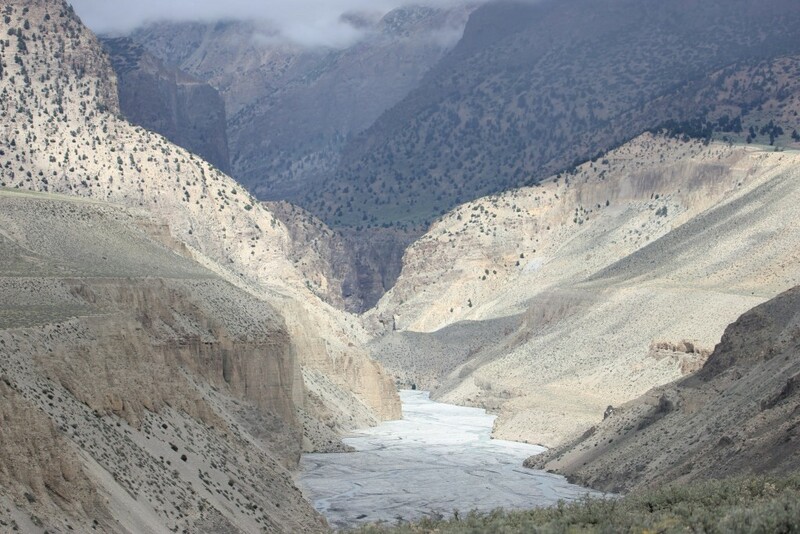 Since then, tours to Upper Mustang are possible, but only with a special permit. 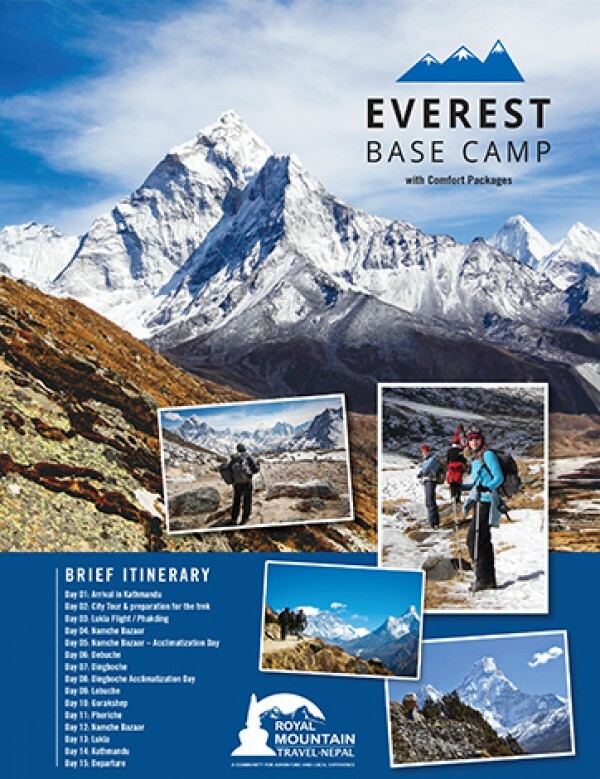 The trekking season in Mustang is slightly different than in most other trekking regions in Nepal. 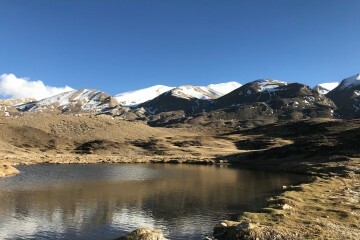 The huge Annapurna massif blocks clouds in the monsoon, so the plateau of Upper Mustang gets very little precipitation. This makes this region one of the few places you can visit during the rainy season without having to deal with too much rain. In August and early September, you can witness the buckwheat fields blooming, the highlight of the year in Upper Mustang. The winters can be very cold though, as the forbidden kingdom has a continental climate. 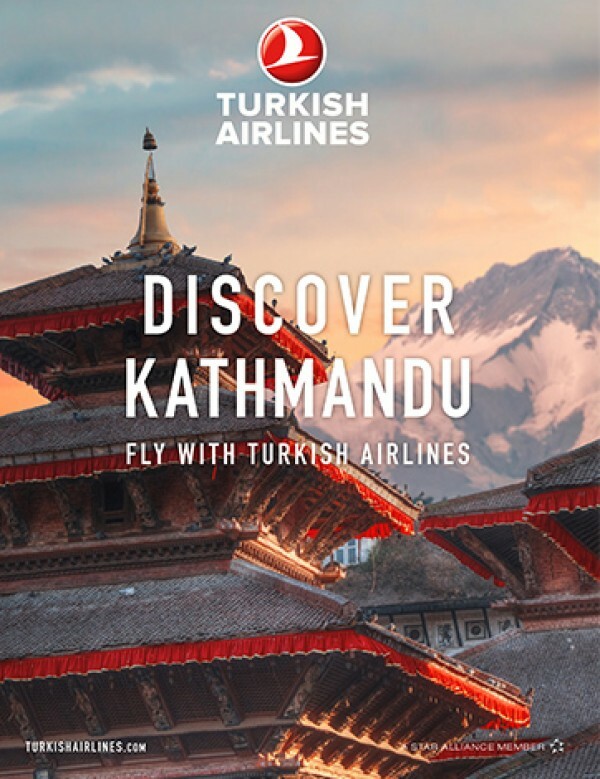 While the numbers of trekkers that visit this region are still much lower than in other regions that are less restricted and remote, in the last years Upper Mustang has become a more popular destination. In high season, guesthouses and monasteries can become crowded, which can taint the special experience of visiting. 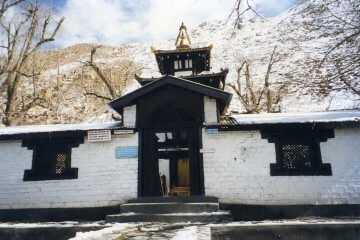 We visited Upper Mustang in early March this year, before the season started. During our ten days in the area we met exactly two other hikers. For the rest of the time it was only us. This made for an amazing experience, and we are very happy that we had the chance to experience this area on such an intimate level. In the teahouses, we were allowed to eat in the kitchen with the families as they didn’t want to heat two rooms. We barely met people on the trail, and every pass we crossed we had for ourselves. At the monasteries, once we had located the monk with the key, we got a very intimate look into the daily lives of the monks and got private tours in every place we visited. During the day the temperatures were perfect for hiking – it never got too warm and we didn’t exhaust ourselves walking through the heat. 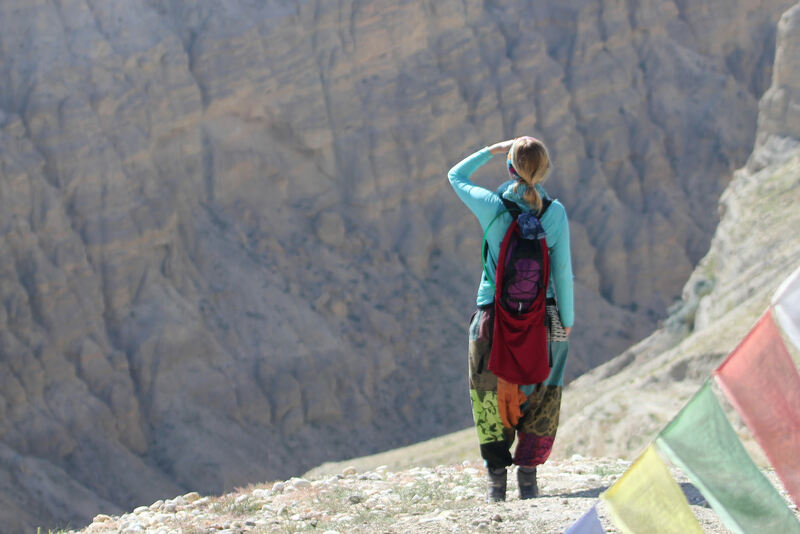 While there are many pros to going to Upper Mustang in the off season, there are also a couple of things you should know before you go. The winters in Mustang are cold. Really cold. Even in the beginning of March temperatures during the night fall below -10 degrees regularly. Every morning we had to tread carefully during the first hours of our trek so we didn’t slip on frozen puddles or patches of snow. If you want to go during the winter, or even towards the end of it, you need a good sleeping bag and very warm clothes. Once the sun is down it gets freezing. Many of the guesthouses that our guide knew were still closed at this time. 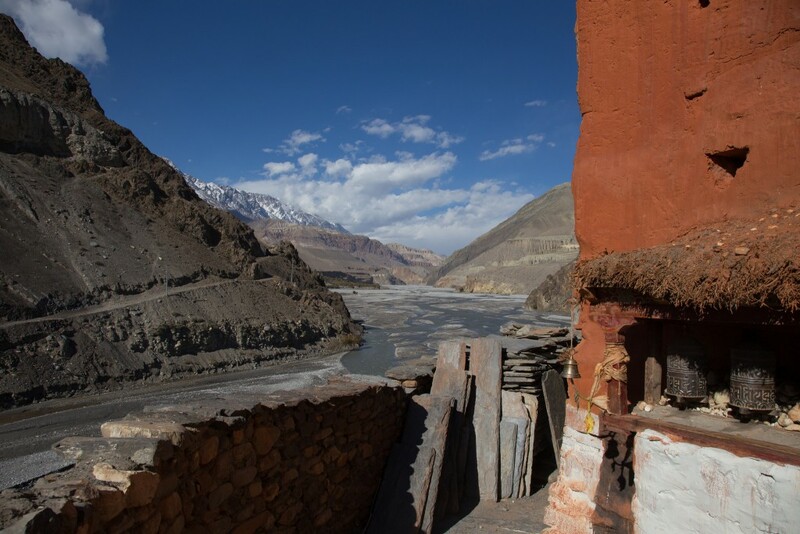 In Lo Manthang, the capital of Upper Mustang, only three guesthouses were open, out of a total of more than 20. All but one souvenir shop was closed, and restaurants or cafes were still barred. 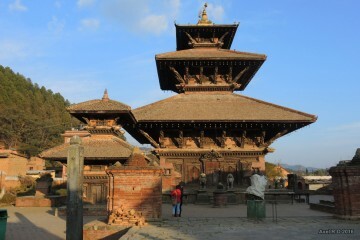 During the winter months many residents of the area move to Kathmandu or Pokhara, as there is little to no work when the tourists are not coming. Even the royal family leaves their kingdom during the winter months to stay in the capital. In winter you will not experience bustling village life, but a much more relaxed and calm way of going about daily tasks. If you have high demands regarding food, winter might also not be the perfect time for you to go. Towards the end of winter, many villages run out of vegetables and the choice of food is very limited. We went with dal bhat every day, but the further north we got, the less options we got. Around four days in, the spinach disappeared, and in Lo Manthang we only got the same potato curry every day, sometimes with a carrot. You will not find a lot of variety in the food this time of the year, but it is still delicious! Many villagers leave for the winter months, and the same goes for the monks. Most of the monasteries in Upper Mustang are just manned by a minimal crew of monks during the winter months to make sure nothing breaks or is stolen. You will not see pujas or prayer ceremonies. Many prayer rooms in the monasteries are barren as well, with the carpets and books stored away safely until the monks return. Nevertheless, you can still visit the monasteries and see the wall paintings and other artworks. It’s just a very different experience. So if you are thinking of going to Upper Mustang in the winter, these are the things you have to take into consideration. If solitude, an intimate look into family life and the calm of the landscape are the things you’re looking for, it might just be the perfect fit. 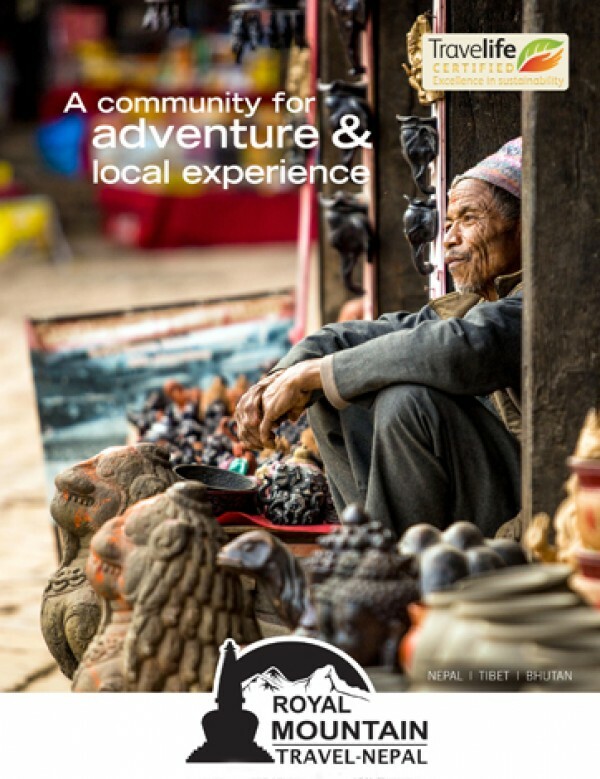 If you want a little bit more comfort, bustling village life and Buddhist monastery routine, you should rather look to go in the high season.